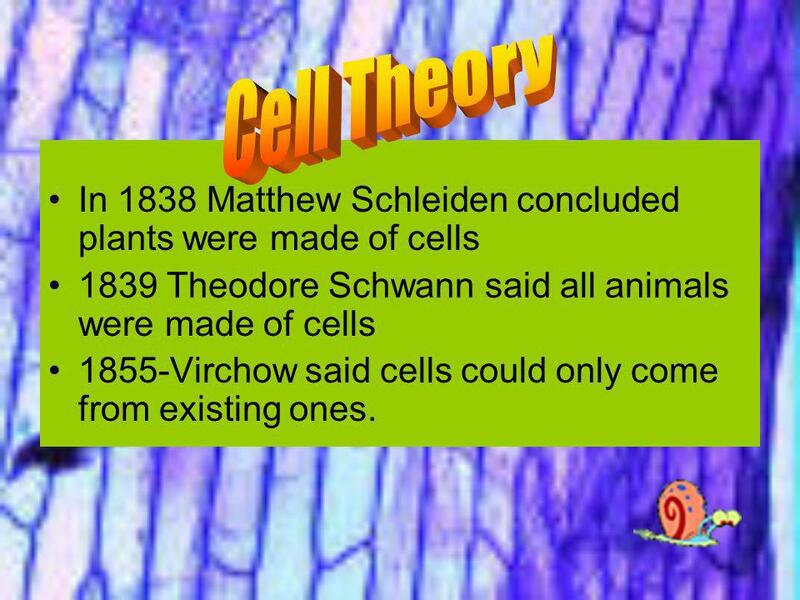 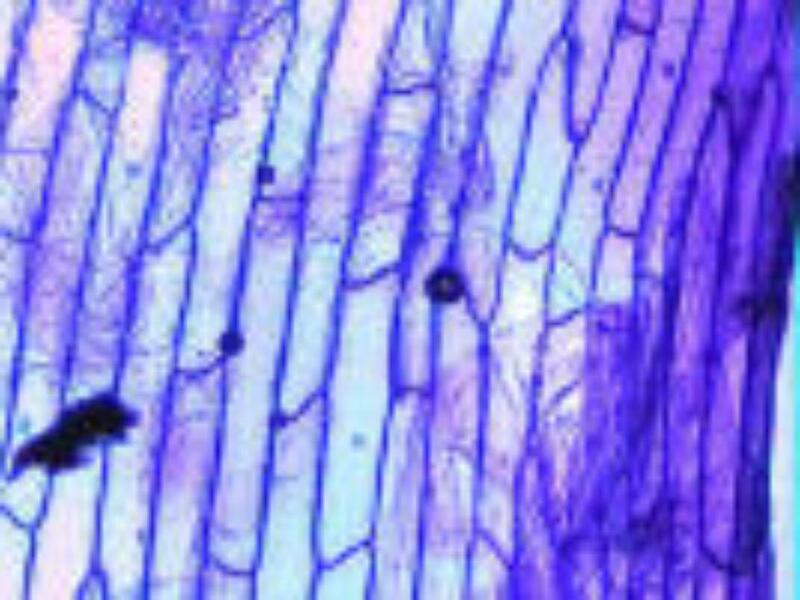 6 Cell Theory In 1838 Matthew Schleiden concluded plants were made of cells 1839 Theodore Schwann said all animals were made of cells 1855-Virchow said cells could only come from existing ones. 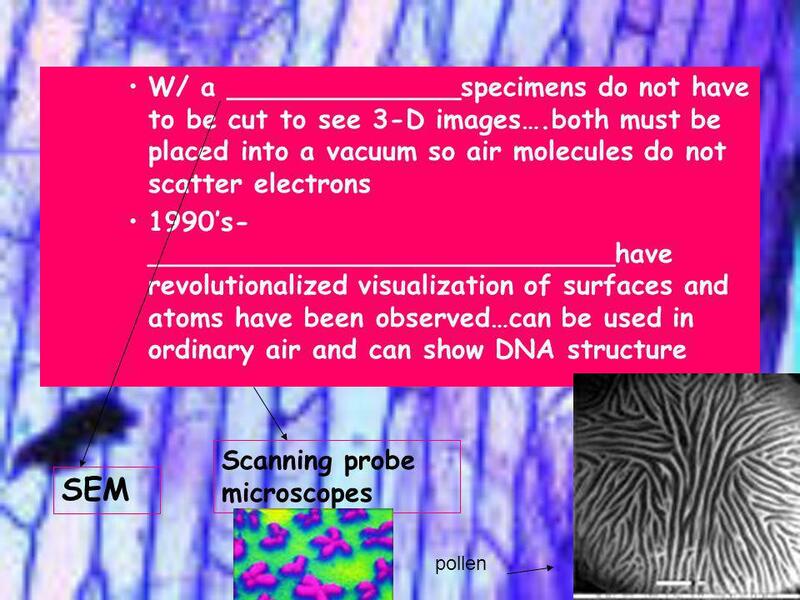 15 Working with a partner, answer the following questions. 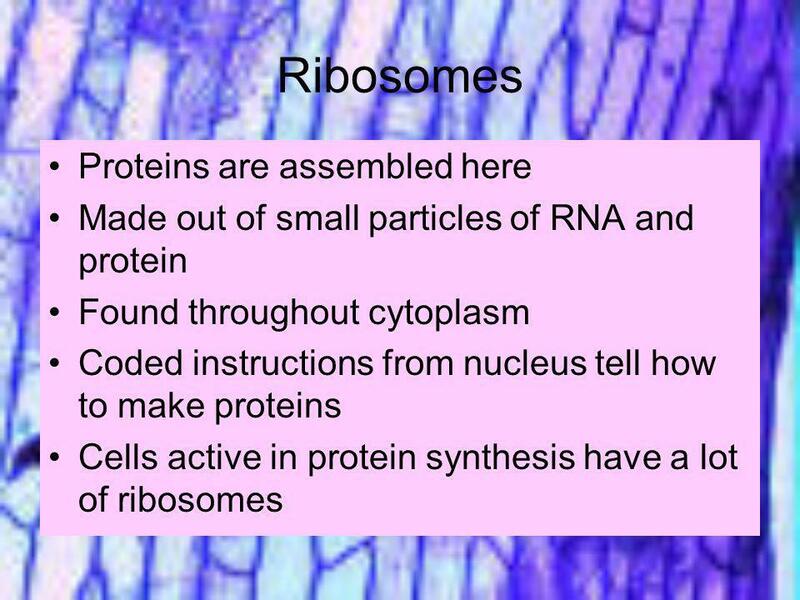 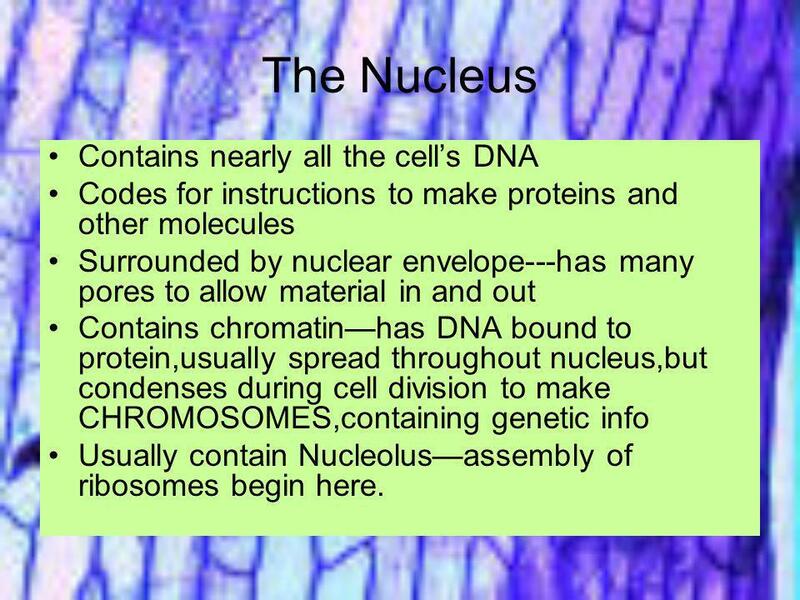 Codes for instructions to make proteins and other molecules Surrounded by nuclear envelope---has many pores to allow material in and out Contains chromatin—has DNA bound to protein,usually spread throughout nucleus,but condenses during cell division to make CHROMOSOMES,containing genetic info Usually contain Nucleolus—assembly of ribosomes begin here. 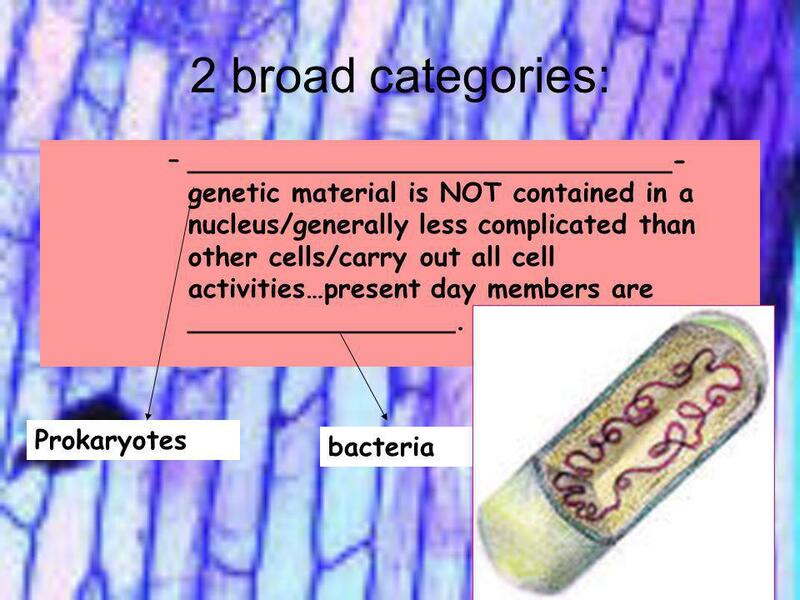 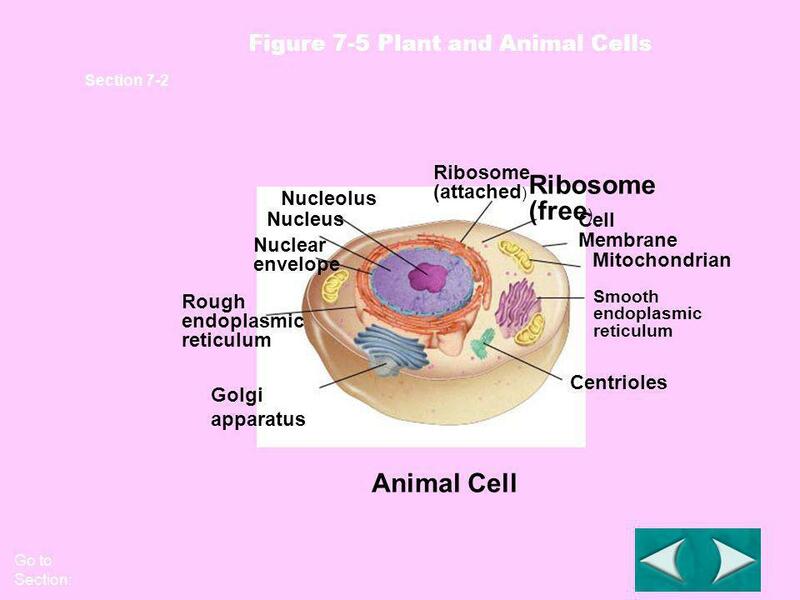 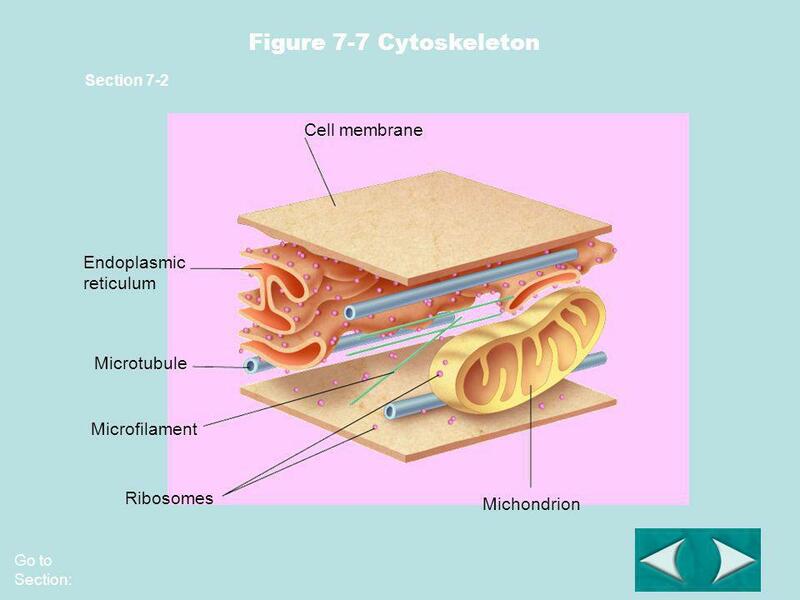 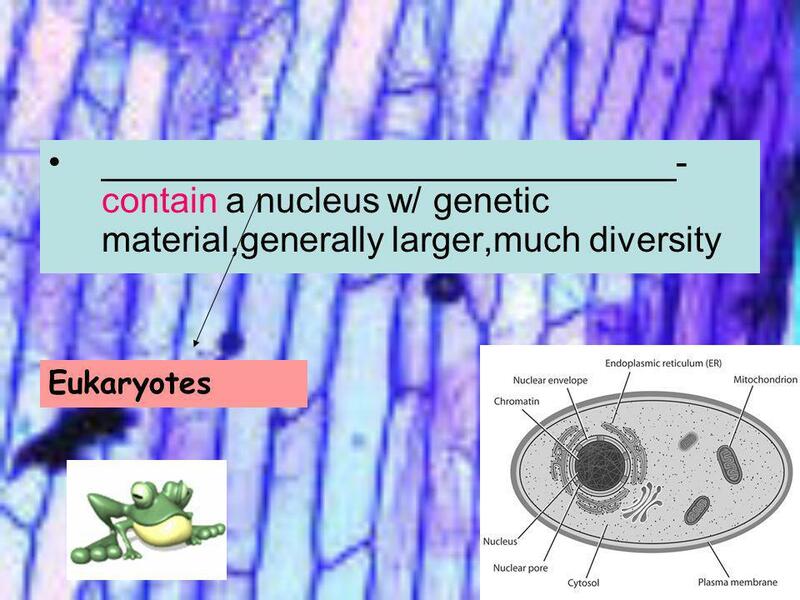 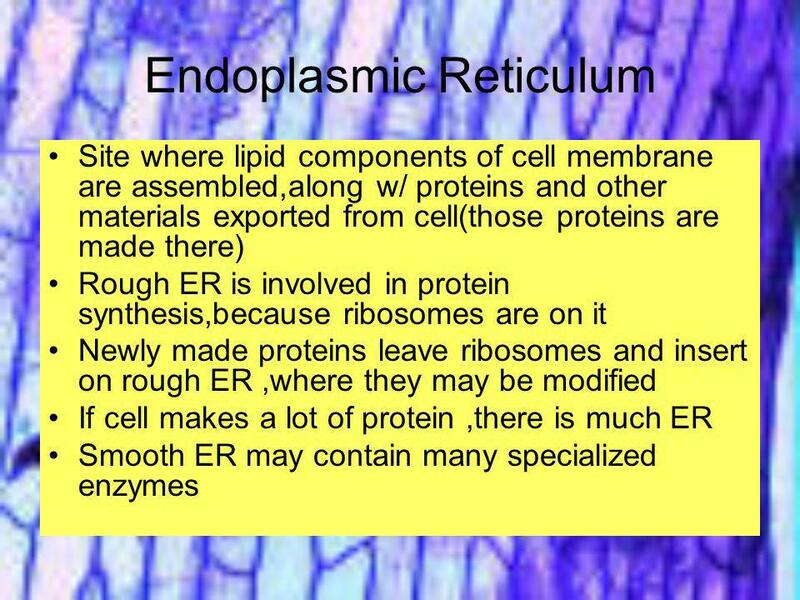 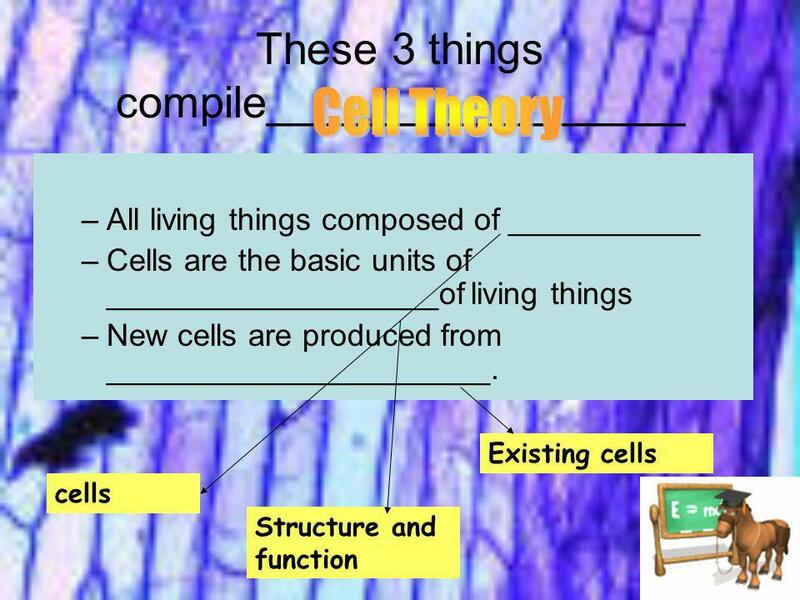 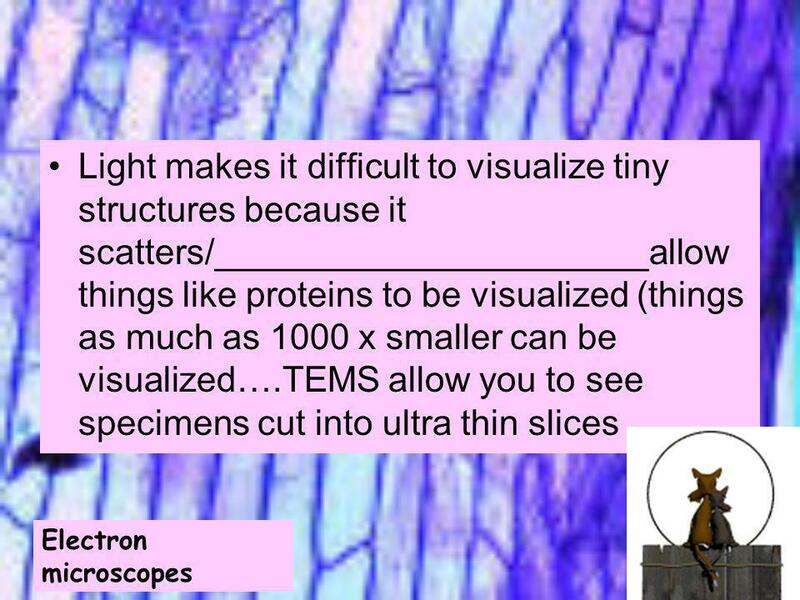 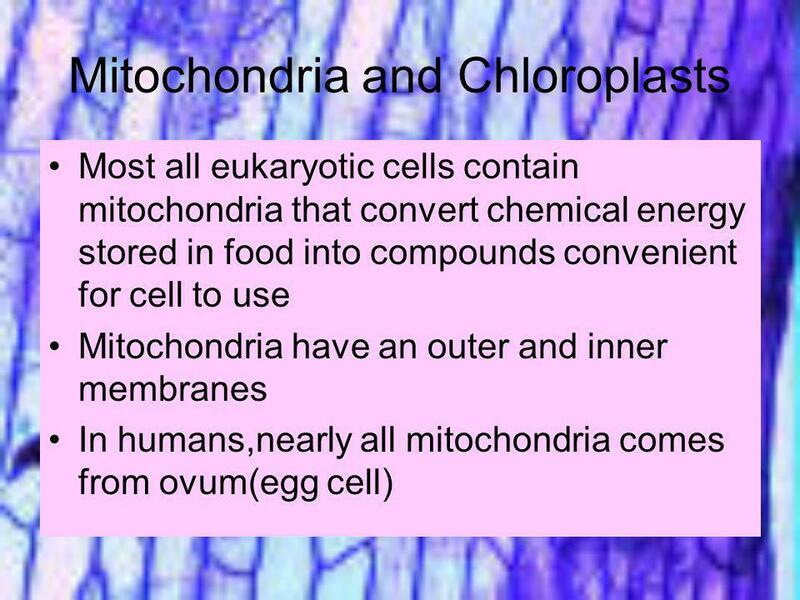 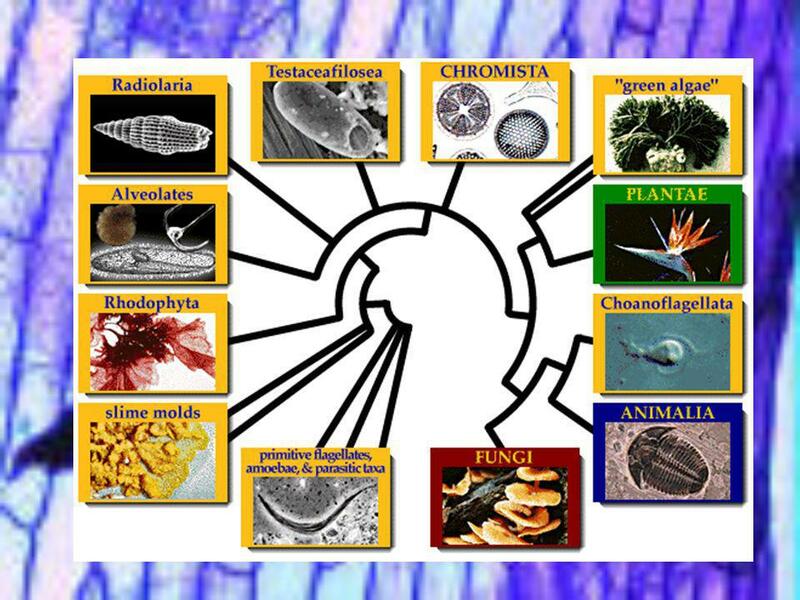 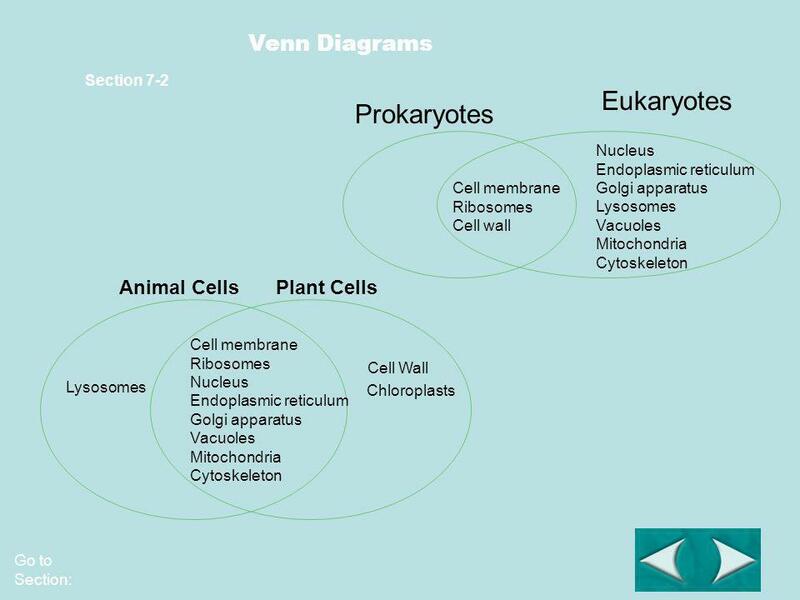 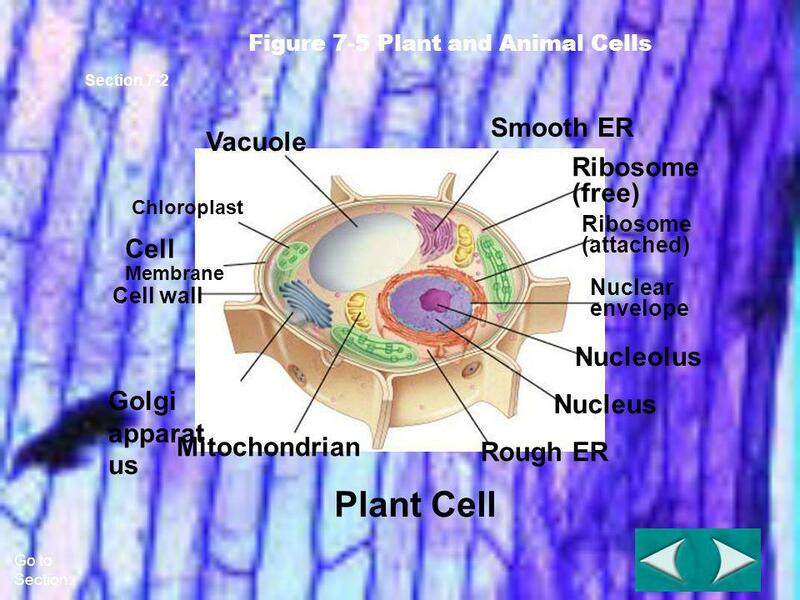 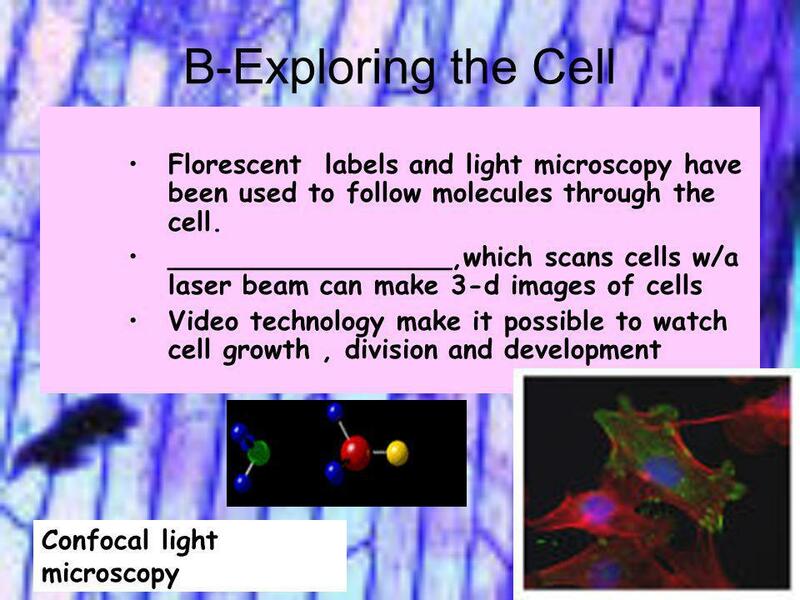 Download ppt "Cell Structure & Function"
The Cell Theory All living things are composed of cells. 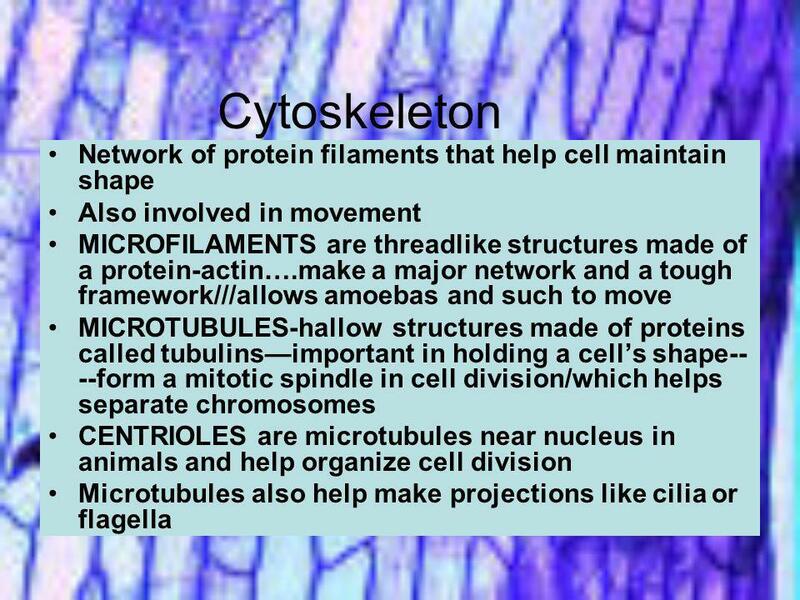 Structure and Function. 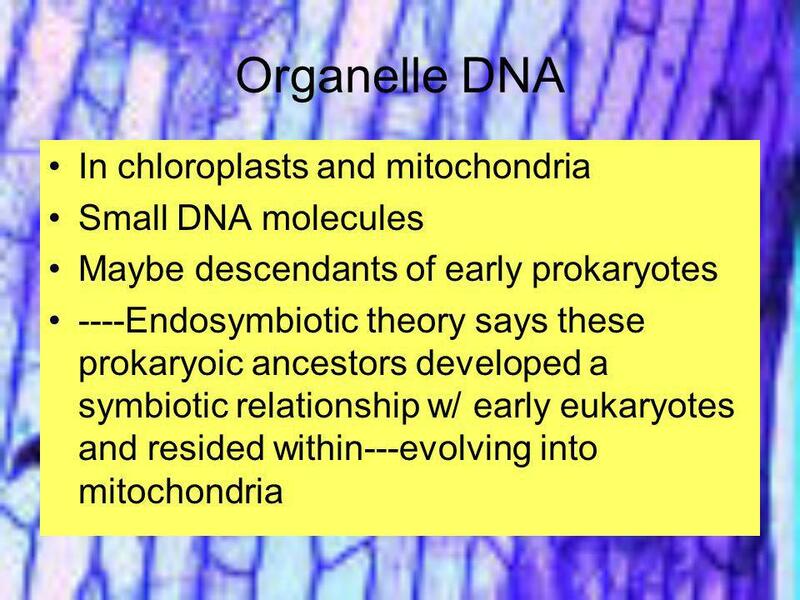 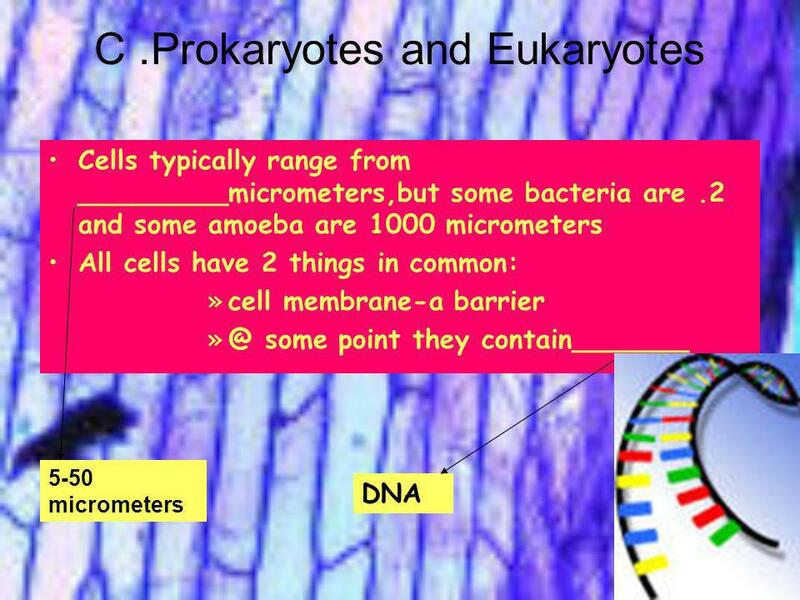 Section 7-1  Prokaryotes  Eukaryotes. 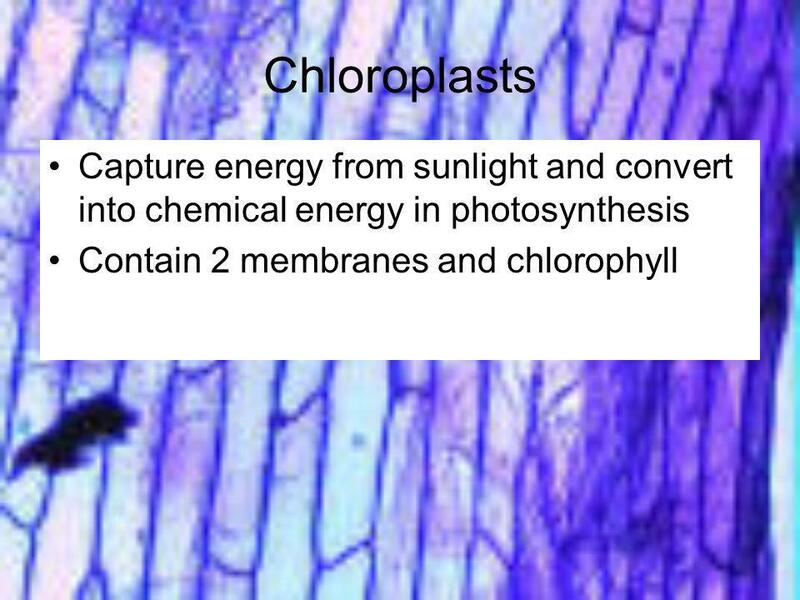 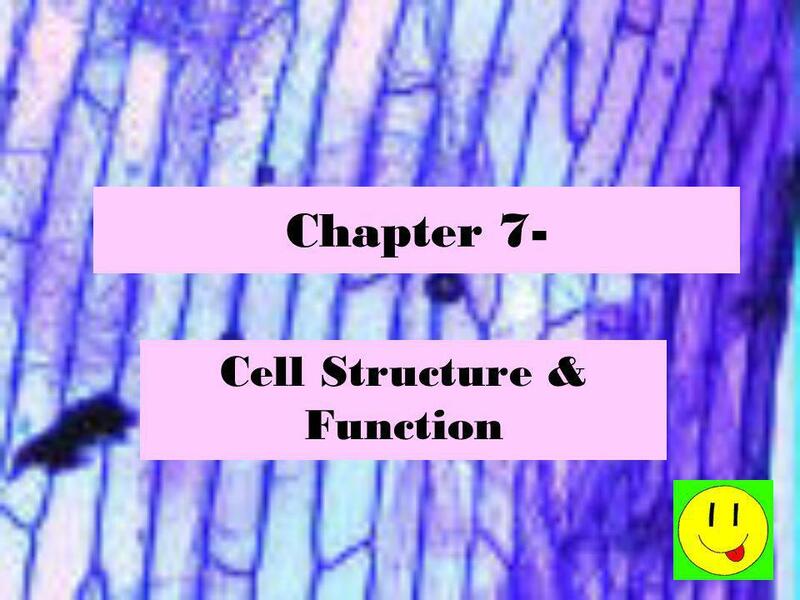 CH.7 CELL STRUCTURE AND FUNCTION. 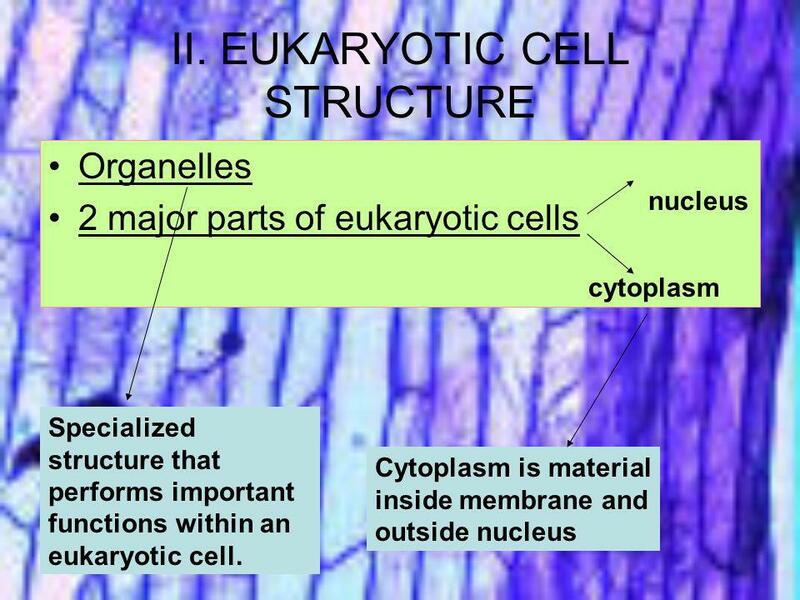 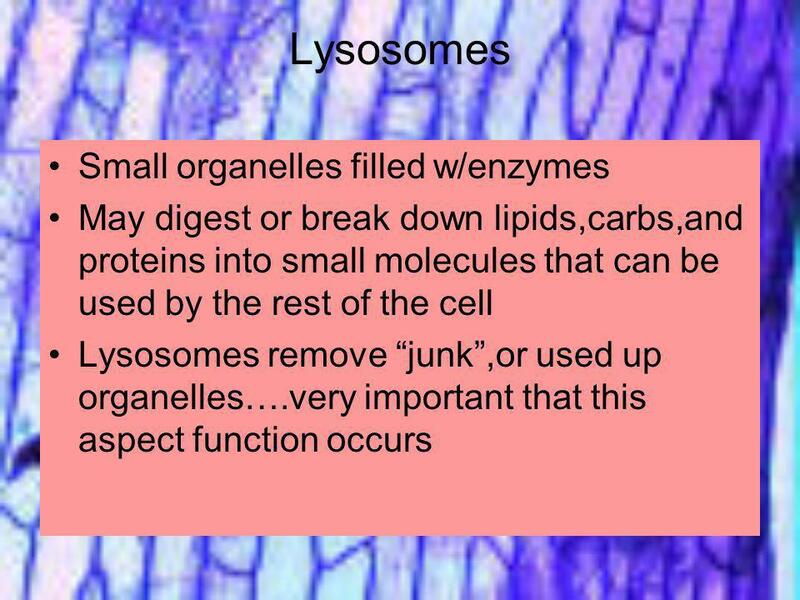 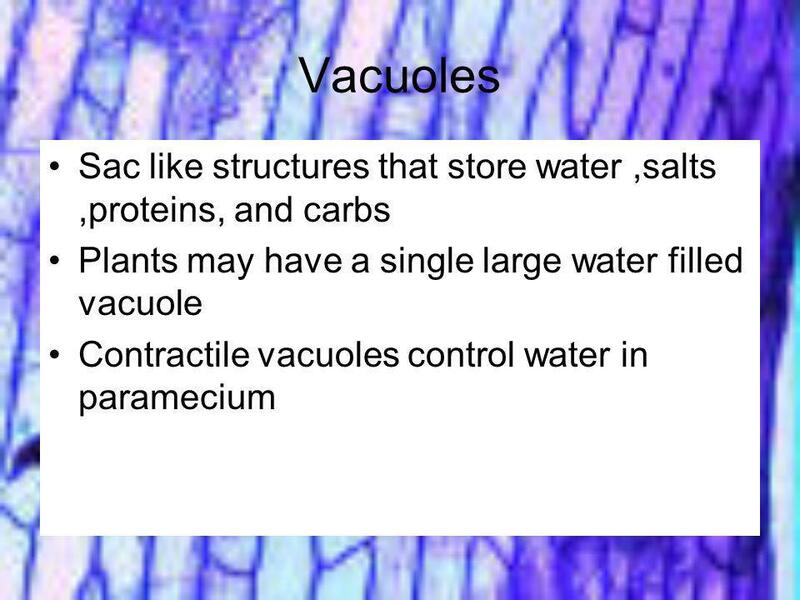 What are the functions of the major cell structures? 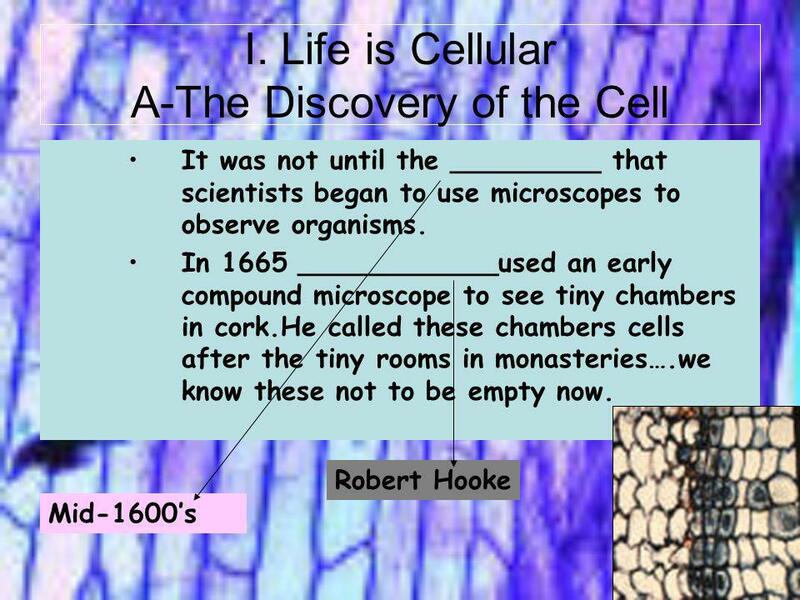 A view of the cell The Discovery of Cells. 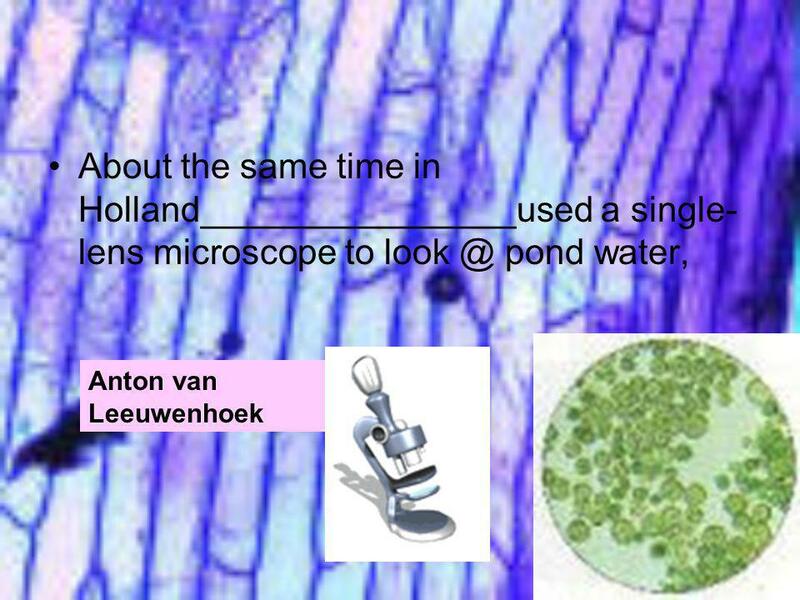 Light microscopes Anton van Leeuwenhoek created and used first simple light microscope Anton van Leeuwenhoek.